Personnel Selection, Potential Analysis, Professional Counseling, Personnel Development, Profiling, Psychology of Sports, Personality Research. 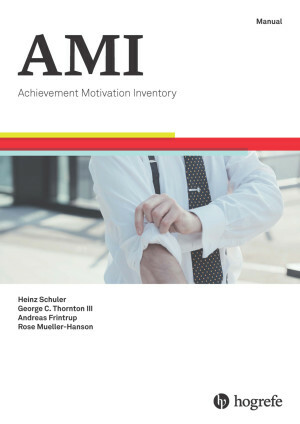 The Achievement Motivation Inventory (AMI) is a personality inventory designed to measure a broad construct of work related achievement motivation. 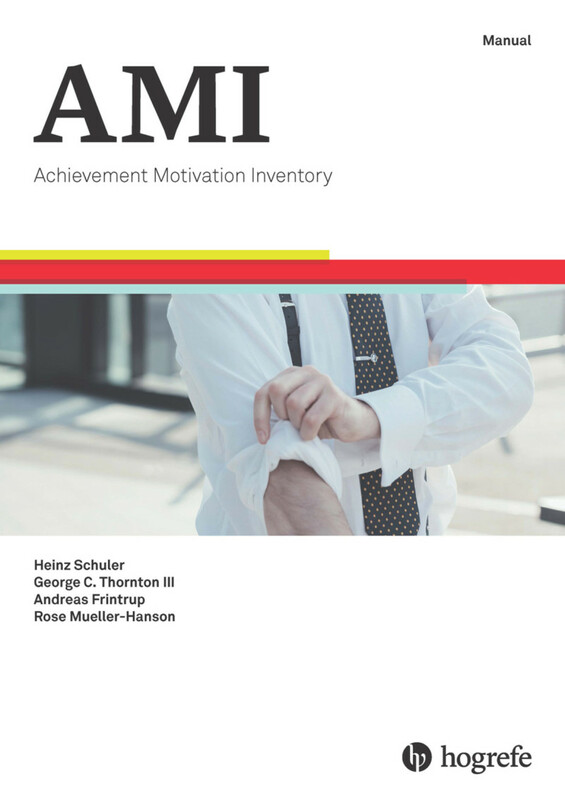 It is founded on the theoretical work related to the German «Leistungsmotivationsinventar (LMI)» (Schuler & Prochaska, 2001) and enables users to test candidates for 17 different facets of achievement motivation. The theoretical conception of this test is based upon all common conceptualizations of the construct but for the first time integrates relevant social motives into a test measuring the construct of achievement motivation as well. Thus, in addition to traditional scales, e.g. Confidence in Success or Persistance, scales like Dominance or Status Orientation are integrated in the AMI. The AMI consists of 170 items to be responded by examinees on a 7-point-Likert format. Reliability (Cronbach`s alpha) for the total score is α = .96 and ranges from α = .66 to α = .83 for single scales. Retest reliability is rtt = .94 for the total score and ranges from rtt = .71 to rtt = .89 for single scales. Content validity was obtained by an intensive research work on all major aspects of achievement motivation and their integration within the test. Expert ratings assured only relevant aspects have been integrated. Additionally, confirmatory factor analysis yielded a good model-fit of the theory. Construct validity is shown by correlations of AMI scales with related personality scales, e.g. from Big Five inventories (ranging up to r = .72). Criterion related validity was shown in regard to prediction of grade point averages in US colleges (r = .22 for the total score and up to r = .29 for single scales) and early academic achievements (ranging between r = .21 to r = .36 on different scales). Studies showed that there is high social validity in regard to acceptance of the test by examinees. Totel US Sample (N = 745). Total Sample (US and German Samples; N = 2.178).